Need an auto repair shop near me that you can trust plus afford? Our team has been serving Plainfield, Naperville, Bolingbrook, Romeoville, IL, plus beyond since 1978. We are your local, dealership alternative, #1 choice auto repair shop near you. 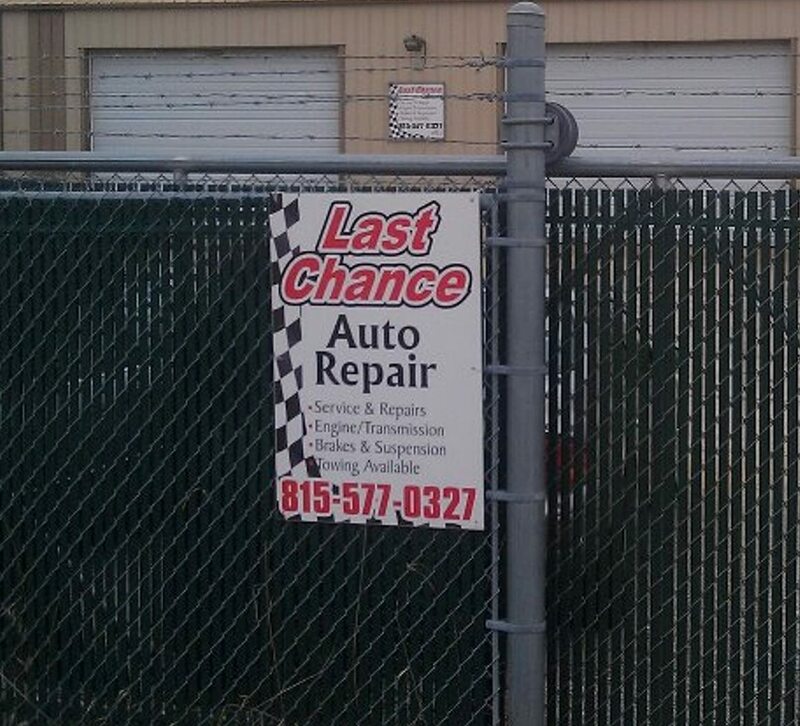 Last Chance Auto Repair is the most comprehensive, bumper to bumper, ethical, local auto repair shop that you can trust & afford. Family owned plus operated with family prices included. Offering auto repair & service for domestic plus foreign vehicles A-Z. You break it, we’ll fix it. Low-cost & BBB A+ quality guaranteed with every service. Unlike most shops we don’t have any big, hungry, corporate mouths that need to be fed. Hence the reason we can offer a guaranteed low-cost auto repair & service. Take the low-cost, mix it with highly trained ASE mechanics, add a touch of BBB A+ quality, you get Plainfield’s Last Chance Auto Repair. Over many years our auto repair shop has become known for an unyielding commitment to automotive service excellence plus complete satisfaction. Our knowledgeable team is familiar with most car, van, suv, auto, truck, classic, vehicles complete. Do you have questions for us? Call our team Last Chance Auto Repair at (815)577-0327 now! 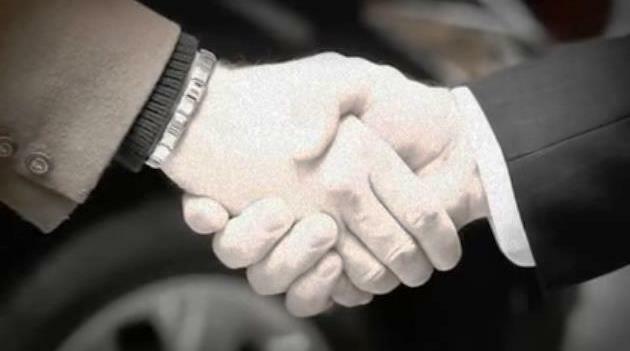 Since 1978 Last Chance Auto Repair has been doing what we do best hence offering our services to Plainfield, Naperville, Bolingbrook, Romeoville, Chicagoland Illinois plus beyond and are looking forward to many more years to come. We are the #1 choice, dealership alternative, auto repair shop near you for a reason. Our team has over 200 years of combined knowledge, proven service history & repairs under our belts. We are a family owned & operated kind of auto repair shop that truly cares about you (our customer) and our reputation. Servicing all makes & models, domestic & foreign vehicles, A-Z. How can we help you? Need a brake repair near you? Is it time to change your brakes? Does your brake warning light come on when your driving? Is your brake fluid low? Do you need your brake fluid flushed? Are you hearing a grinding or a squealing sound when you apply your brake pedal? Do you feel a pulsation, vibration or some sponginess in your brake pedal when it is pressed? Does your vehicle steer or pull to one side when braking? Regardless of your brake problem we have you covered? We offer brakes for car, van, SUV, truck, classic, all makes & models, domestic & foreign vehicles A-Z. You brake it, we’ll fix it. Call today to schedule a free brake inspection. Need an engine repair near you or near me? We are the local engine expert. Your engine is the heart of your vehicle and just like human hearts they need to be taken care of to make sure they last. An engine that is running perfectly makes a vehicle more pleasurable to drive. Routine maintenance needs to be done on any engine. Even new vehicles have spark plugs, ignition cables, air filters and so on that on occasion need to be serviced. A tune-up is key to a healthy vehicle and to making your investment last. Wondering how your engine is feeling? Call to schedule a free Engine computer scan to see how healthy your engine is. Need a transmission repair near you or near me? We offer transmission maintenance, repair & rebuilding services for all makes & models A-Z. Before starting most repairs we perform a diagnostic scan on your transmission & vehicle computer control systems to make sure of what is needed typically free of charge. If your trans does require a repair our team will repair or if need be rebuild your vehicle’s transmission correctly with BBB A+ quality and a competitive more than fair price included. Maybe your trans is just due for maintenance? From basic repair & service to major rebuilds, our mechanics know transmissions like the backs of our hands. Need a suspension shop near you? Having suspension problems? We are the local suspension expert, the go-to-shop, your #1 choice. Do you know what your suspension is all about? Your suspension maintains your vehicle’s ride height. Reduces the effect of shock forces. Helps maintain wheel alignment. Supports your vehicles weight. Keeps your tires on the road. Helps control your direction of travel. 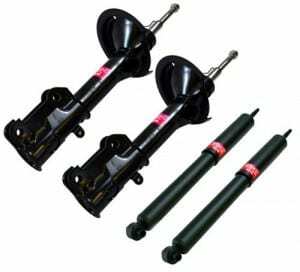 Your suspension does all this with shocks, struts & springs, an assortment of bushings, several different types of linkages, that all connect your vehicle to the wheels. We’ve got all your suspension needs covered A-Z, call now! Need towing near me or near you? 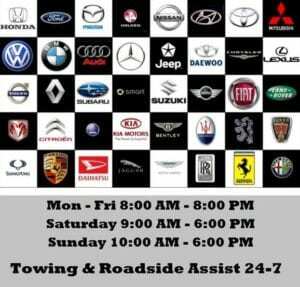 Need a towing or roadside assistance service? We offer quality, low-cost, fast response towing & roadside assistance services 24-7. Bring it to our shop and get a discount off of our already low rates. We specialize in light, medium & heavy duty towing & roadside assistance service. Services include jump start, auto lockout, flat-tire change, gas delivery, mobile battery replacement services for all makes & models. We’ve got all your towing & roadside assistance needs covered throughout Plainfield, Naperville, Bolingbrook, Romeoville, Chicagoland plus beyond. Call our team now, later, 24-7! Are you having car problems? 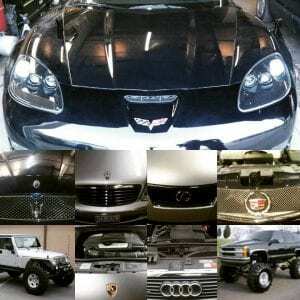 Last Chance Auto Repair offers highly educated ASE trained mechanics that specialize on domestic & foreign automobiles. Our diagnostic skills speak for themselves. We’ve been diagnosing emissions, engine, transmission, electrical systems, and a whole lot more for many many years. Our knowledgeable team has top-notch diagnostic equipment applicable for most makes & models. Give us a call now. 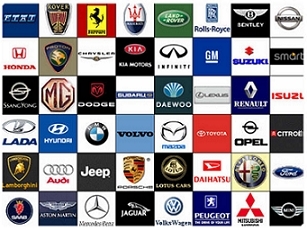 Domestic vehicles include but are never limited to: Buick, Cadillac, Chevy, Chrysler, Corvette, Dodge, Ford, GM, GMC, Hummer, Jeep, Lincoln, Mercury, Oldsmobile, Plymouth, Pontiac, & Saturn. Do you want to schedule a domestic vehicle repair or service? When it comes to domestic automobiles we have you covered. Call now to make an appointment. Our knowledgeable mechanics also specialize on foreign vehicles including: Acura, Audi, BMW, Fiat, Honda, Hyundai, Infiniti, Isuzu, Jaguar, KIA, Land Rover, Lexus, Nissan, Mazda, Mercedes Benz, Mini Cooper, Mitsubishi, Nissan, Porsche, Saab, Scion, Subaru, Suzuki, Toyota, Volvo, Volkswagen a.k.a. VW. You brake it, we’ll fix it, foreign & domestic A-Z. Over at Last Chance Auto Repair our team specializes in domestic & foreign vehicle repair, maintenance, diagnostic plus rebuild services A-Z. We are the local brake, electrical, engine, transmissions, suspension, timing belt, emissions, powertrain & drivetrain systems expert to say the least. Our team is here for all your automotive service needs. Call our team today, tonight, 24-7 at (815)577-0327 we’re always here for you. From a diagnostic repair to a complete overhaul rebuild service. We include a warranty on all of our services. We also offer a low cost & quality guarantee. Our superior customer service will even accept local competitor’s repair estimates, then beat them by 10% or more with our BBB A+ quality included at no additional charge. Will physically show you where will save you money. Bring an estimate by, we have you covered. How can our team help you? Want to schedule a service? Call now! 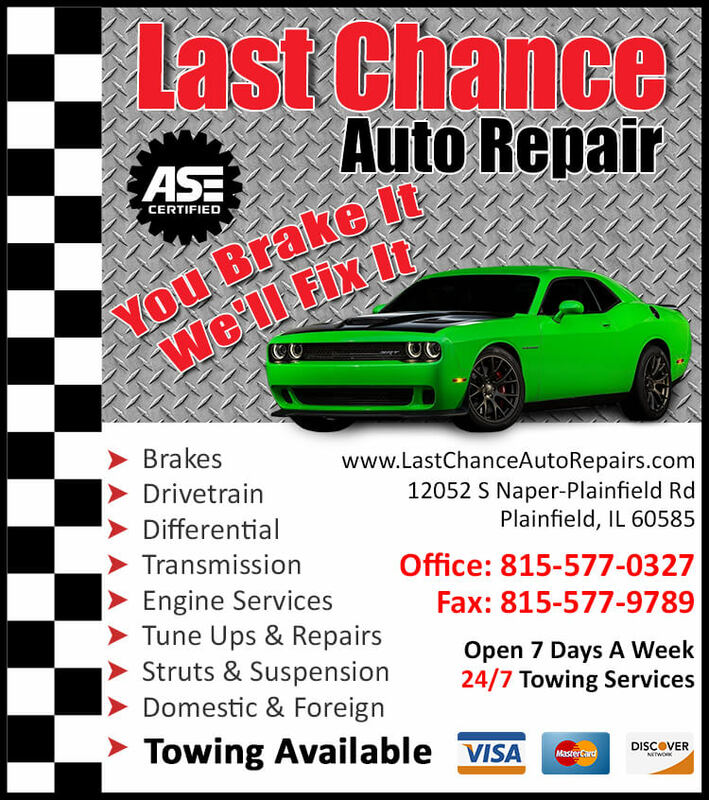 Last Chance Auto Repair in Plainfield Illinois is a family owned & operated, full-service auto repair center started by Ron in 1978. Ron grew up wrenching out of his parents & friends garages all while racing at the local dragstrips plus on the streets of Chicago. Some say he must have been born with oil running through his veins. From racing and working in garages Ron went over to Dodge City aka Dodge Trucks in Countryside, where he was quickly promoted to service manager, where under Ron’s guidance the shop won many service excellence awards and he was truly proud of what he became. From Dodge to Hendrickson Trucks he went, he jumped right into the truck suspension engineering group working in the research and development laboratory. His skills and knowledge mixed with the team at Hendrickson helped to develop many of the truck suspensions currently offered today. Then came Corry, Ron’s son which grew up turning wrenches with his father in the good old family garage. His passion sparked like an iridium firing spark plug. From the garage (under his fathers wing) to the high school shop class to Universal Technical Institute (U.T.I.) where he trained in domestic & foreign auto, diesel, electrical, technology (which includes Mercedes, BMW, GM, Ford, Daimler-Chrysler, Dodge). From there he worked at Tellabs as an electronic technician, then over to Arrow Trucks as a diesel mechanic, all while turning wrenches with his father. Starting out of the garage as side work to Ron’s first full fledged auto repair shop the passion never stopped growing just like his (their) business. From a small shop to a bigger shop to his son joining the team. Mix them all together and what do you get? 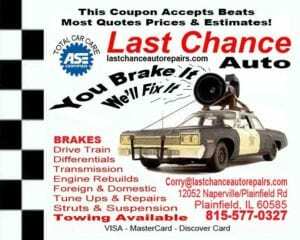 Team Last Chance Auto Repair of Plainfield, IL. The combined knowledge equals an engine, transmission, suspension, brake expert to say the least, but they offer auto service from A-Z, including towing 24-7. Beating most local quotes & estimates by 10% or more. Their about making you happy, not taking your money, all while doing what they love to do. Member Of ABC, BBB, insured & bonded. Top tier commercial accounts at Autozone, Napa, Carquest, Advance Auto, O’reilly Auto Parts plus all major dealers. Questions? Want to schedule an appointment? Give the team a call now, later, 24-7. Ask for Ron, Sheri, Corry & or Team! Last Chance Auto Repair For Cars Trucks has over 200+ years of total automotive business, knowledge, know how & services under our belts. We strive to make sure our auto mechanics are highly trained, certified, and truly top notch. We all have many years of hard work, training, auto customizing, auto service and schooling to offer you. We have serviced many vehicles, domestic & foreign from A-Z, we keep our customer’s satisfied by making sure of your happiness so we can do business again. 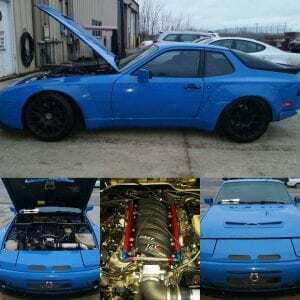 Our team also offers many years of automotive machine shop, racing (street & track), tuning plus engine building experience to help back any additional horsepower you may need and or for fuel your looking to conserve. We take pride in our workmanship, quality, customer service & kindness. We always offer free local shuttle service, 24-7 towing & roadside assistance services for your added convenience. High quality work, reasonable prices, quality auto repair you can trust plus afford equals Plainfield’s Last Chance Auto Repair. Do you have any questions? Were giving away answers for free, give our team a call today. Whatever we need to do to gain a friend, customer, plus your return business, will do it. Providing you with professional and quality auto repair services with family prices included is one of our tricks of the trade. For professional auto repair, maintenance, and service, we’re here for you. Interested in scheduling an appointment for an automotive repair or service? 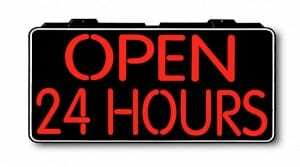 Give us a call day or night, rain or shine, sleet or snow. 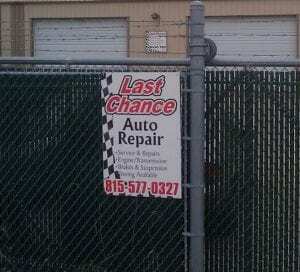 Last Chance Auto Repair is here for you. Looking for an auto repair shop you can trust plus afford Plainfield, Naperville, Bolingbrook, Romeoville, IL, or any surrounding suburbs? Don’t worry we have you covered but now your going to have to find us. 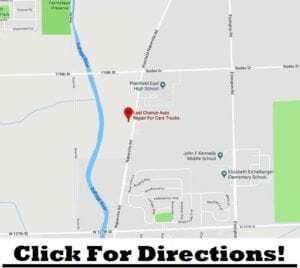 We are located directly across the street from the Plainfield East High School, down the block from the Bolingbrook Golf Club and also down the block from the Naperville Polo Club/Soccer Field. We have people that come from all over Chicagoland and sometimes even from out of state for our knowledge and expertise. We hear it’s hard to find an auto repair shop you can trust plus afford. Regardless we have you and all your automotive service needs covered A-Z. How can we help you? Call now, later, 24-7! Our skills plus many years of experience lead to quality automotive repair & service that you can trust & afford.